Also known as the “Father of Immunology”, Edward Anthony Jenner was an English scientist and is famous for his discovery of the smallpox vaccine. This was the first successful vaccine ever to be developed and remains the only effective preventive treatment for the fatal smallpox disease. His discovery was an enormous medical breakthrough and has saved countless lives. In 1980, the World Health Organization declared smallpox an eliminated disease. 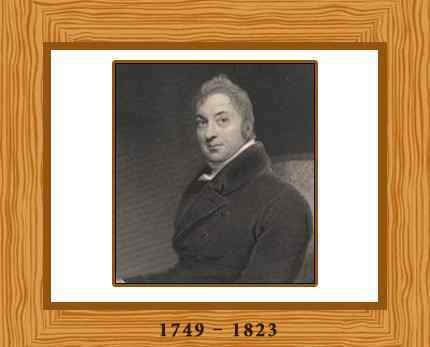 Edward Jenner was born on May 17, 1749, in Berkely, Gloucestershire, England. His father (who died when Edward was just five years old) was a preacher for the parish. He received his training at Chipping Sodbury, Gloucestershire for seven years as an apprentice to Daniel Ludlow (a surgeon). During his training, an interesting thing happened that led to his famous discovery in later years. He overheard a girl say that she could not get the dreaded smallpox disease because she had already had another disease known as cowpox. This evoked a desire inside Jenner to carryout research on this information. As a child, Jenner was a keen observer of nature and in 1770 after completing his seven years surgeon training in Gloucestershire, he went to St George’s Hospital, London to study anatomy and surgery under the well-known surgeon John Hunter. After finishing his studies, he returned to Berkeley to set up a medical practice where he stayed until his death. Jenner and others formed a medical society in Rodborough, Gloucestershire, for the purpose of reading papers on medical subjects and dining together. He also published useful papers on angina. Jenner worked in a rural society where most of his patients were farmers or worked on farms with cattle. In the 18th century Smallpox was considered to be the most deadly and persistent human pathogenic disease. Prevention of catching smallpox, through inoculation was the main ‘treatment’ by a method which had brought success to a Dutch physiologist, Jan Ingenhaus and was brought to England in 1721 by Lady Mary Wortly Montague, the wife of the British Ambassador to Turkey. This method was well known in eastern countries, and involved scratching the vein of a healthy person and pressing a small amount of matter, taken from a smallpox pustule of a person with a mild attack, into the wound. The risk of the treatment was that the patient often contracted the full disease, with fatal results. In 1788 a wave of smallpox swept through Gloucestershire and during this outbreak Jenner observed that those of his patients who worked with cattle and had come in contact with the much milder disease, cowpox, never came down with smallpox. Jenner needed a way of showing that his theory actually worked. In 1796 Jenner conducted an experiment on one of his young patients, James Phipps, an eight year old boy. After making two cuts in James’ arm, Jenner worked into them a small amount of cowpox puss. Although the boy had the normal reaction, of a slight fever, after several days, he soon was in good health. When, a few weeks later Jenner repeated the vaccination, using smallpox matter, the boy remained healthy. This is how Jenner’s vaccination treatment was born, named after the medical name for cowpox, vaccinia. In 1798 after carrying out more successful tests, he published his findings: An Inquiry into the Causes and Effects of the Variolae Vaccinae, a Disease Known by the Name of Cow Pox. Jenner was found in a state of apoplexy in January 1823, with his right side paralyzed. He never fully recovered, and finally died of an apparent stroke on 26 January 1823, aged 73, in Berkeley, Gloucestershire, England.